Scalia served from 1986 and was known as an intellectual conservative. He is well known for his dissenting quotes because he didn’t mince any words and he was often outrageous. While I may not agree with his legal views, I did agree with some wise advice he gave once. 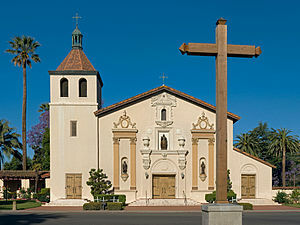 Joanne, my youngest sister, graduated from Santa Clara University in the late 1980s. 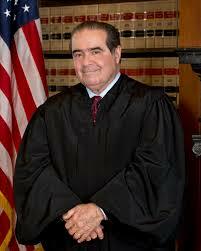 Scalia was the key note speaker at the graduation ceremony. The university was very familiar to him. He and his wife, Maureen, were married in the chapel on the campus. And one of his sons was graduating from the university the same year as Joanne. It was the first college graduation ceremony I had ever been to, and it was beautiful. The campus is lovely. Many of the students are from Hawaii, and they wore leis to the graduation ceremony. The floral aroma was divine! I don’t remember the topic of Antonin Scalia’s speech, but I do remember one line and it became one of my mantras. You came here to learn how to learn. He was talking about how the graduating students would not take specific knowledge away from their education at the university. They wouldn’t remember what year certain wars were fought. But they would remember how their learned those details and ideas. They had learned how to learn, and that was their most important take away from their education. His wise words influenced me to enjoy the learning process more than the actual accumulation of wisdom. Kathy, that is the one part of his speech that I remembered, too! He was absolutely right about that. Justice Kennedy actually taught one lecture of Constitutional Law to my class at McGeorge. He was fascinating. He wove his lecture in a way that it seemed like he was advocating one view while really ending (without actually saying it) supporting the opposite view. A fascinating mind. Did you hear that Gov. Sandoval a former Manogue alum was up for consideration for Scalia’s position? He turned it down in a way that kept the door open for later consideration.